Dogs and bad breath pretty much go hand in hand. Once they outgrow that adorable puppy-breath phase, it’s clear that your dog’s bad breath will probably become an ongoing issue. 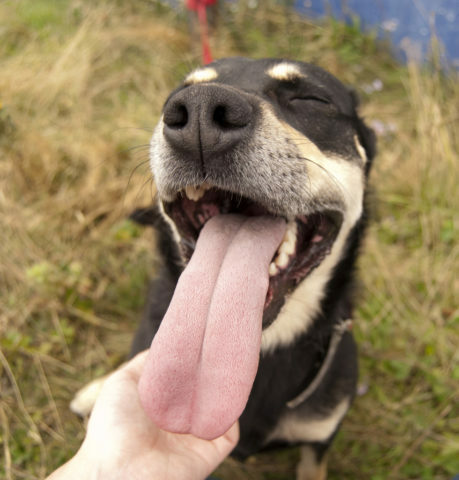 Fortunately, there are some things you can do to help prevent dog bad breath. #1 Give fresh dog bones from the butcher – I give my dog a large raw beef bone to chew on every now and then (roughly a couple times each month). I get them from our local butcher. Some grocery stores sell them as well — in the meat department. #2 Brush your dog’s teeth – I use a finger brush to brush my dog’s teeth. Even though he absolutely loves the beef-flavored doggie toothpaste, I honestly don’t do this as frequently as I should. But every little bit helps, so I’m not going to beat myself up about it. 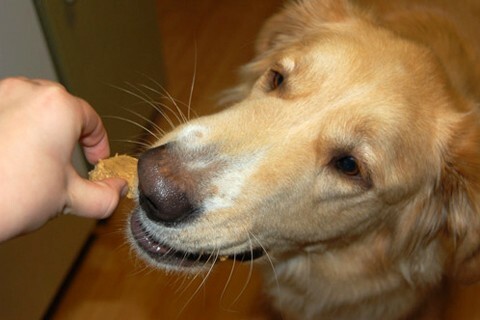 #3 Give homemade dog breath treats – Instead of making ‘regular’ homemade dog treats, you can freshen your dog’s breath at the same time by including specific ingredients that are known to do this. #4 Use dog mouthwash (a drinking water additive) – For us, adding a dog-friendly drinking water alternative worked really well at first, but then the results sort of fizzled. It’s a good first step in your attempt to freshen your dog’s breath, but not long-lasting. Today, I’m going to focus on homemade dog breath treats that you can make. 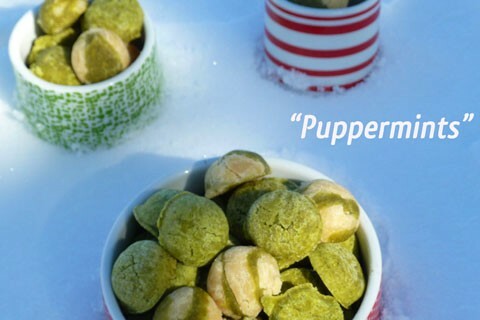 I have already shared lots of homemade dog treats and dog friendly recipes. I’ll be honest, I tend to gravitate to the simple dog recipes that have the fewest ingredients and ingredients that I usually have on hand. 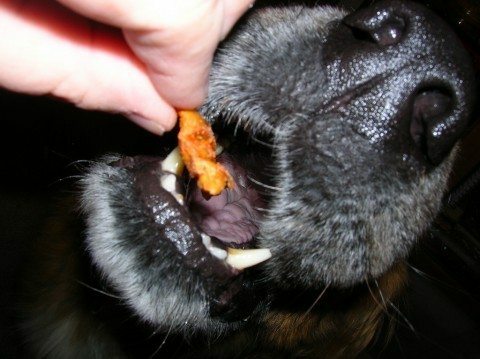 Also, the number one reason I give my dog homemade dog treats is because it’s a healthy, natural way to freshen my dog’s breath. 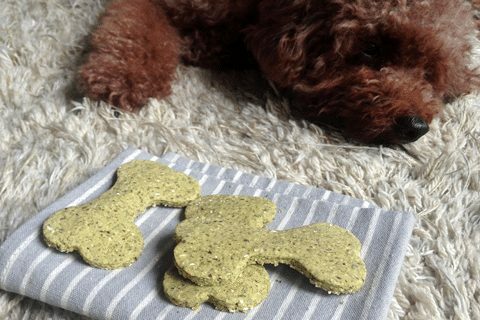 Did you know that you can take just about any homemade dog treat recipe and add parsley and/or mint to it, and you’ll be freshening your dog’s breath with every bite?! Fresh mint and parsley can be found in the refrigerated produce section of grocery stores. Mint and parsley can also be found in jars and bottles in the herbs & spices aisle at the grocery store; sometimes in the baking aisle. Dill is another natural breath freshener that is safe for dogs (and it can be found in the exact same places as Mint and Parsley in stores), but I’ve only found it to have very mild breath-freshening properties with my dog. I’ve tried a bunch of different recipes for dog breath treats. Truthfully, there aren’t many that have a truly dramatic effect on your dog’s bad breath, but these are the ones that I’ve found to have the greatest effect — of all the ones I’ve tried. 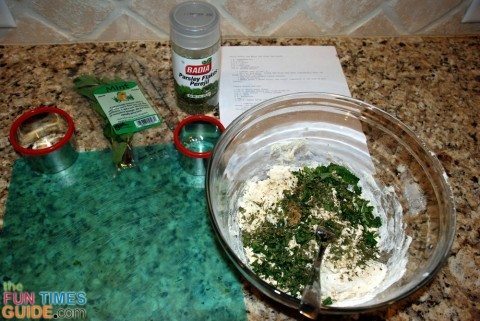 Combine the first 2 ingredients in a bowl. Slowly add small amounts of water to the mixture until the ingredients stick together, without being runny (about 4 tablespoons). Make dime-sized treats by rolling a small amount of the mixture between your fingers to form little balls as individual bite-sized mints. 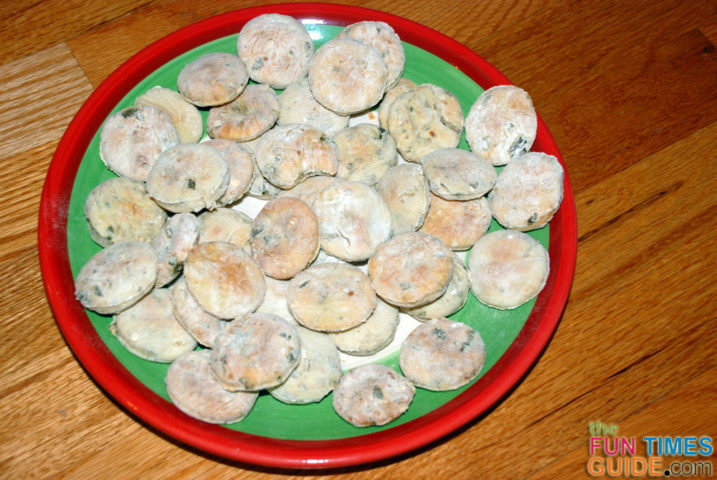 Place the individual dog breath mints on a sheet of waxed paper and store in the freezer. Give a few at a time to your dog, as needed. Makes about 20 small dog mints. Using the additional flour, lightly flour your work surface, then roll the dough out and use cookie cutters to shape the dog treats. Mix the parsley, mint, kale and water in a blender or food processor, then put into a large mixing bowl. In a separate bowl, mix the canola oil, honey, and salt. Slowly add the dry ingredients to the wet ingredients and mix together. 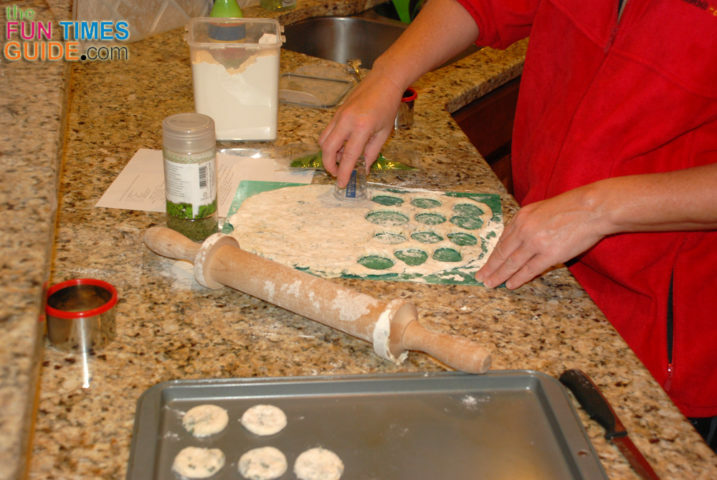 Sprinkle plenty of flour on your work surface, then roll out the dough and use a cookie cutter to make individual dog cookies. Bake at 250 degrees for 30-40 minutes. In a bowl, mix the quinoa with the hot water and let set 5 minutes. Then, mash the bananas into the quinoa bowl. Let the dough set for 10 minutes. 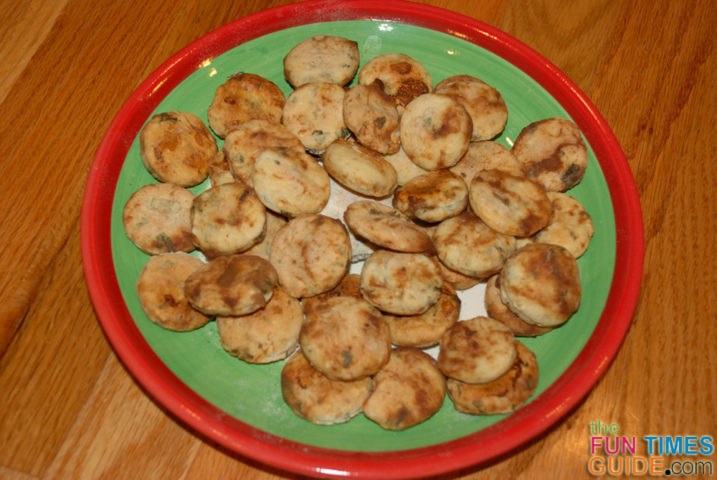 Roll into bite-sized cookies and place on an oiled cookie sheet. Bake at 300 for 1 hour (or a little longer). Mix oil and water. Slowly add flour and other ingredients. 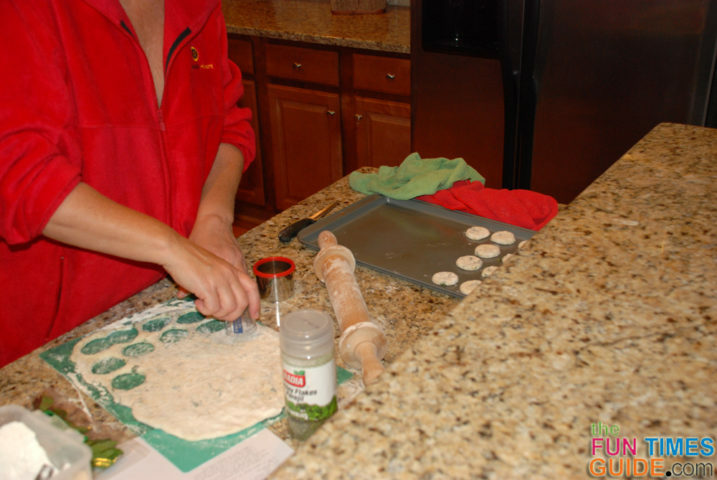 Roll out dough on a flat surface. 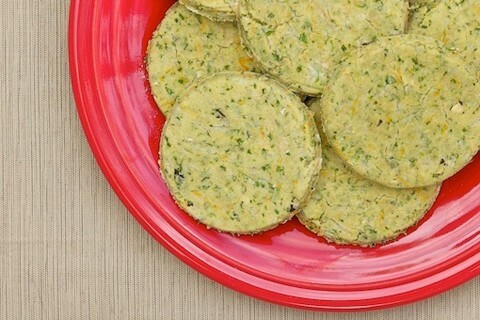 Roll each in baby food before placing onto cookie sheet. It acts like an ‘icing’ of sorts. Bake 30-40 minutes in a 350 degree oven. Makes about 3 dozen dog treats, depending on the size of your cookie cutter. Combine all of the ingredients in a food processor. Blend until well mixed and a large ball forms. Roll the dough on a non-stick surface (like a floured cutting board). Cut into 1-inch x 2-inch strips. Or use a bone-shaped cookie cutter. 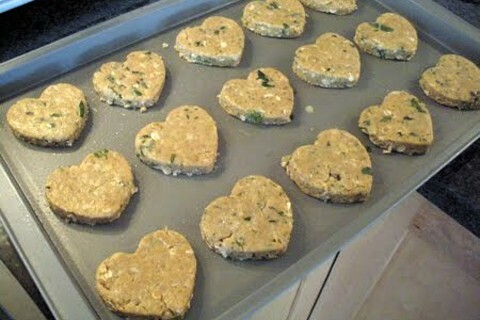 Place cookies on a non-stick cookie sheet. Bake at 375° F for 20 minutes or until lightly browned. Makes about 30 dog biscuits. Mix in food processor until finely chopped. 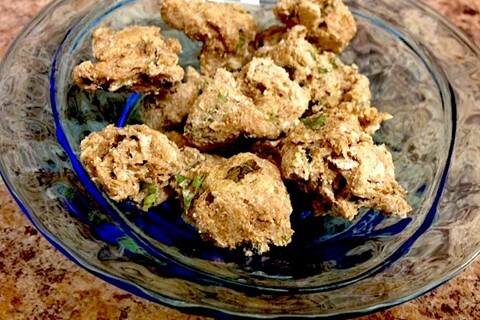 In a large bowl, combine flour, mint, baking soda, cinnamon, and chopped oats. Add egg and water to the mixture, and mix well. Knead with hands to form a dough – add more water or flour as needed for desired consistency. 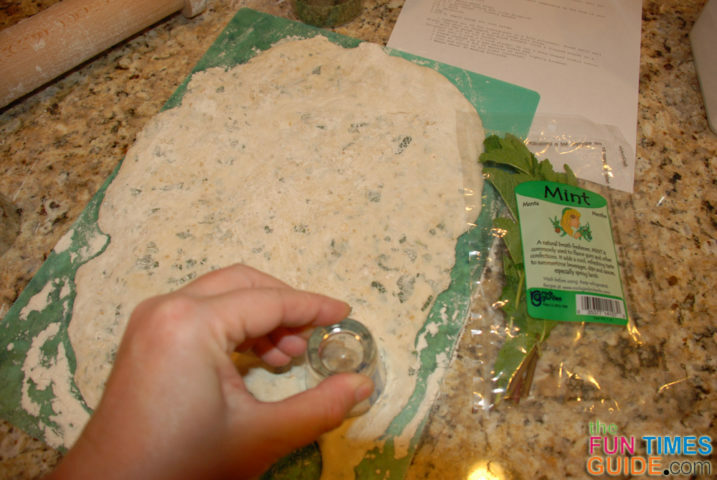 Use a rolling pin to roll out dough on waxed paper. Use cookie cutters (or a cup or a lid) to create individual dog treats. 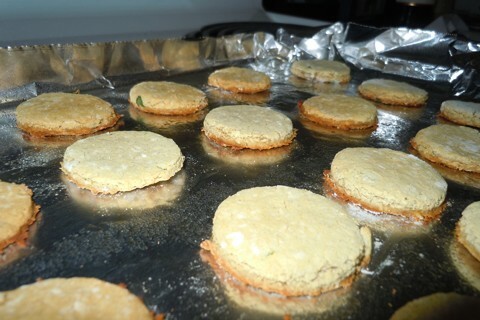 Place cookies on a greased cookie sheet and bake in 375-degree oven for about 10 minutes. Adapted from Wheat-Free Minty Cinnamon Treats recipe. Mix the wet ingredients together first. Slowly fold in the dry ingredients until the mixture is a smooth consistency. Roll the dough out and cut in to any shapes you choose. Bake in a 350-degree oven until hard, about 35 minutes. Bake in a 375-degree oven for about 20 minutes. Mix the flour, oats, and baking powder in a large bowl. Add the parsley, mint, carrot, cheese, and olive oil to the bowl and stir well. Gradually pour 1/2 cup of water into the bowl and mix until combined. Add more water, if necessary, so the dough is moist and not crumbly. Lightly flour your work surface and knead the dough. 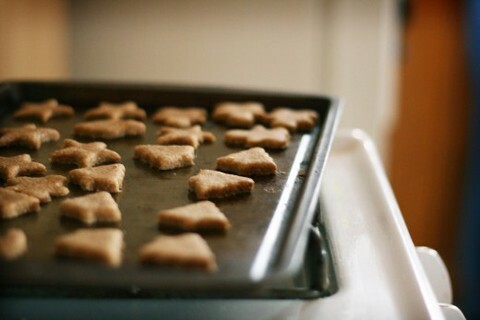 Use a cookie cutter or cup to cut out individual dog treats. 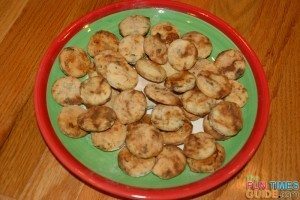 Bake in a 200-degree oven for 20-30 minutes until they begin to brown. 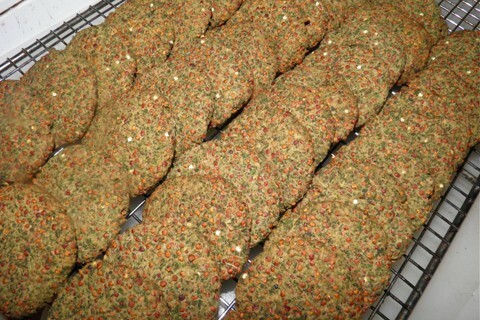 Adapted from All Natural Fresh Breath Dog Cookies recipe.